One of the most popular routes to take from Georgetown to Thailand is to travel overland from Penang to Hatyai (Hat Yai), the main city in Southern Thailand's Songkhla province and gateway to the rest of the country with connections by train, bus, minivan or flight. What is the distance from Penang to Hat Yai? If you are staying on the island, the distance from George Town to Hat Yai is around 215 - 220 Kilometres (by road). From Penang Airport to Hat Yai Airport, there is currently only one airline that operates direct flights, Malindo Air and tickets are quite expensive for such a short trip. 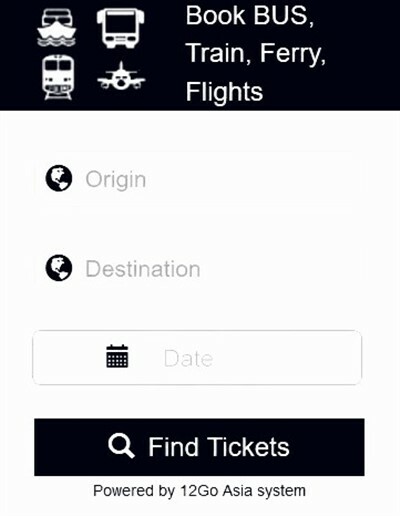 The flight from PEN to HDY has a duration of 45 minutes, but you will have to factor in travel time to and from the airports, check-in time etc, so we would still recommend you to travel overland. Up until fairly recently, the minivan route was the most popular and easiest way to travel from Georgetown to Hat Yai. The journey from Georgetown by minivan to Hat Yai usually takes a minimum of four hours and travels via the main highway, crossing into Thailand at the Sadao - Danok / Bukit Kayu Hitam border crossing. Please note: There are no bus / coach services from Penang to Hatyai, only minivans. This is the route we would recommend you take from Georgetown to Hatyai. Not only is it cheaper (less than half the price), it is a much better way of travelling, compared to the often cramped minivans. The first step is to take the ferry over to Butterworth on the mainland, a short walk to Butterworth Railway Station, then a regular KTM Komuter Train from Butterworth to Padang Besar (the border station with Thailand). The next part of the journey from Padang Besar to Hatyai can be done by shuttle train, local bus or minivan. 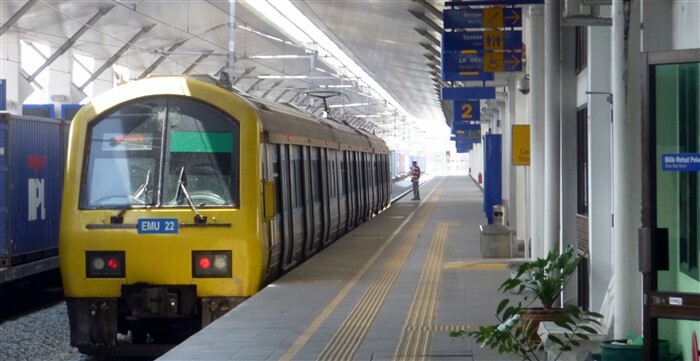 If you are planning to stay in Hatyai or take a connecting train from Hat Yai Junction Railway Station, try to take a commuter train to Padang Besar that connects with the afternoon Shuttle train to Hatyai. One hour 51 minutes for the commuter train from Butterworth to Padang Besar. 55 minutes for the Shuttle train from Padang Besar to Hatyai Junction station. If you make all the right connections, you can get from Butterworth to Hat Yai in less than 4 hours (if everything runs on time). If you want to get to Hatyai bus station, the best option is to cross over the main Padang Besar border (right next to the Padang Besar Railway Station), then take a local bus or minivan to the bus station (located 4 - 5 km away from the centre of the city and train station). Another popular way to travel from Penang to Thailand is to first travel from Penang to Langkawi Island. From Langkawi, you can then continue to Hat Yai via a ferry to Satun or ferry to Kuala Perlis. You can also travel from Langkawi to Koh Lipe by ferry (during the high season only), then back to the mainland at Satun for Hatyai, or miss out Hatyai altogether and do some island hopping up to Krabi or Phuket or take a bus north from Satun.